Manchester Orchestra’s moniker is particularly misleading: The band hails from Atlanta, Ga., not The Smiths’ hometown, and string arrangements are nonexistant in their five-piece American indie rock. But the name isn’t altogether ironic. The original impulse imagined a proletariat city aspiring to something beyond its means—a reasonably apt symbol for band leader Andy Hull’s thematic concerns, expressed in coming-of-age songs where serious young men with fluctuating self-esteem grapple with the outsized vagaries of girlfriends and/or God. Even when the immediate smallness of his situation comes across in mundane lyrical details, Hull’s philosophical preoccupations let you know he’s a big-picture kind of guy. 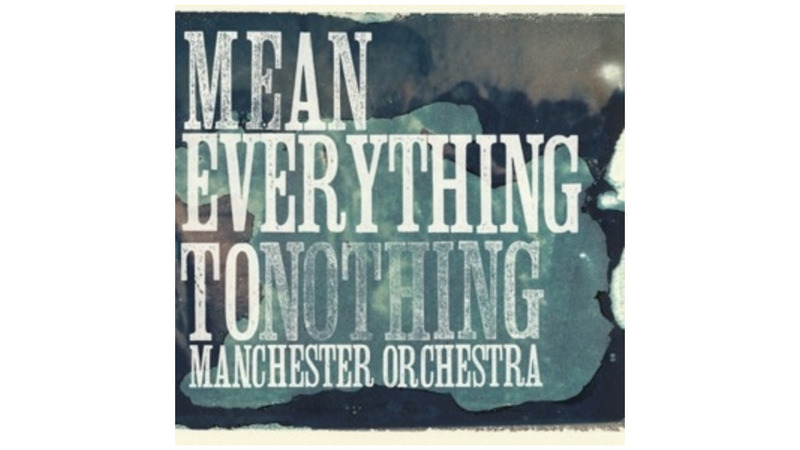 But is Manchester Orchestra a big kind of band? The jury was out after 2006’s I’m Like a Virgin Losing a Childwith acts like Brand New and Kings of Leon, the band built a solid following of indie-rock rowdies, but on record, it seemed overly enamored with its own moping, Hull’s pre-drinking-age midlife crisis bogging down the tempos. But Mean Everything to Nothingbrings decades of record-making experience, and Manchester Orchestra seems suddenly unashamed to acknowledge critical influences like the invigorating guitar riffs and campfire hooks of Weezer—or Nirvana, in their more accessible Butch Vig-produced period. The young band has learned a great secret: It’s possible to make a massive, commercial, go-for-the-gusto Rock Record while still holding on to dark idiosyncrasies and seriousness of purpose. If earthly betrayal is more your bag, there’s enough workaday romantic doubt and disillusionment to go around for anyone who discovered Manchester Orchestra when the enigmatic “I Can Feel a Hot One” (reprised here) premiered last fall on Gossip Girl. It’s easy to imagine the CW-watching crowd joining in, too, on teaser single “I’ve Got Friends,” with its unlikely sing-along chorus, “I’ve got friends in all the right places / I know what they want and I know they don’t want me to stay.” Robert McDowell’s nitty-gritty guitar lines rip post-teen angst a new one, and Chris Freeman’s subliminal keyboards occasionally break through long enough to offer something fleetingly akin to orchestral sweep. Mean Everything to Nothing manages to be both petty and grand, and that means plenty.